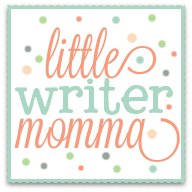 Little Writer Momma: Book Review and Giveaway! 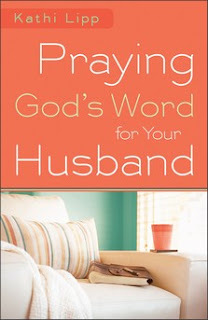 When I first heard about the book "Praying God's Word for Your Husband" I was interested and excited about the idea of doing something more deliberate to be an encourager and a helpmate in Scott's world. That's where this book, this incredible tool by Kathi Lipp, comes into play. What roadblock or challenge can one really concoct (aside from sitting your behind in a chair!) to keep you from committing 5 or 10 minutes a day to pray...and to pray for your husband in specific ways while you're at it! 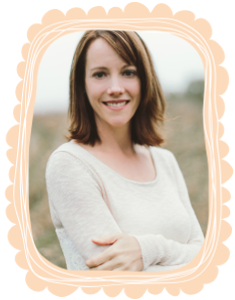 Lipp is a writer, mom and passionate woman who I have come to admire through other books (The Me Project: 21 Days to Living the Life You've Always Wanted is one I read last year) and articles I've read. She is funny, down to earth and in writing this book provides an invaluable resources to every woman who wants to bless her husband. Note that in picking up a copy of this book for yourself, you will be giving your husband a gift he will really appreciate. The look on Scott's face after I told him that I was reading this new book and praying for him was one of surprise and gratitude to a degree I was not expecting. It made me realize that sometimes it's actually not the monetary gifts that matter. 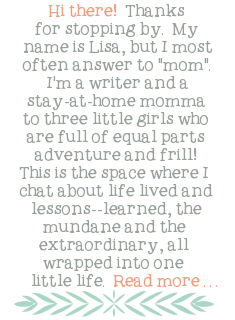 "Wow, Lis. Thank you. With all you have going on? Thank you." "No problem babe. I'm glad to be able to do it." He's thanked me on a couple more occasions over the last two weeks as he's caught me with the book in my hands. "Thanks again for reading that...and for praying for me." "Of course," I say like it's not big deal. Though, as I've read this book I realize it really is. This prayer thing is something so simple... and yet...so not. "Knowing that my day is covered in prayer-- whether I'm having a good day or a bad day-- changes how I can approach the next bad day...Through her specific prayers for me and my world, we are joined together in more intimate way. She isn't a passive bystander in my life. She comes alongside in all things, even areas where she isn't directly involved. She becomes a loving partner in all my struggles and a support in my weaknesses. I need that." The book is broken into two major parts, "Preparing for Prayer" and "Prayers for Your Husband". Under "Prayers for Your Husband" you will find fourteen different specific areas (chapters) devoted to some thoughts, scripture references and actual prayers that you can pray. The areas include; When He Feels Overwhelmed, Work Issues, His Finances, His Health and Safety, His Relationship with God, His Parenting and His Mind, among other things. AND here is the really exciting part, because I appreciate and value the power this book can have in strengthening your marriages I purchased an extra copy to give away to one of you!!! To be entered to win all you need to do is leave a comment below! -- Post a link to this review on Facebook or Twitter! The giveaway will be open until Sunday at midnight at which point I will randomly have my husband (how appropriate, right?) pick a name the old fashioned way... out of a hat (seriously! I don't get all hi-tech on these sorts of things!!). Father, I lift up my husband to you and ask that you keep him close, protecting him physically, mentally, spiritually, and emotionally. While he lives in this world, he faces so many trials and temptations that would be him down were it not for your faithful and abiding love. Help him to be aware of your love. Let him enjoy your love, experience your presence, participate in your peace, and glory in your grace. Reassure him that you are with him, you go before him, you surround him, and you have his back in every situation. Amen. You can also click on this link to watch a short video from the author about the book. Great review...makes me want to read the book! Great thoughts on how much it means to our hubs's when we pray for them everyday. Sometimes when we as women get accustomed to wearing so many "hats" that the "hat" of being one with our husbands(both spiritually and physically) can be put on the back burner. But the realitly is...when our relationship with our husbands are put back in the proper place everything else becomes easier to manage. I think praying passionately and consistently for our husbands is where we must begin in order to get things back into their proper perspectives. So true Gay...I love how you say that "everything becomes easier" when our relationships with our husbands are in the right place...that is SO true! I have heard the phrase "praying God's word over your husband, children" or whatever you happen to speaking of. I have to be honest enough to say that the denomination we came out from never said anything like this. It was in our new church a nondenominational one, where some of the mentoring women mentioned this to me. I don't know how to do it. I wonder if this book can explain that to me. I'd love a chance to learn to empower prayer even more. Hi there! I'm not sure that this book would "explain" that in detail, but it certainly would give you some guidance and a template for praying this way...It really comes down to reading scripture and then just using those inspired words in your prayers back to God...I love that you are passionate about wanting to pray more passionately! I wonder how it will compare to Power of A Praying Wife? Is is similar? Leah-- I think it is similar in some ways to Power of a Praying Wife, but I feel like this author incorporates a little bit more "story" into her chapters, that her prayers are shorter and that she is more intentional about offering scripture AND prayers that coincide...both great books though! This book sounds really good. I absolutely need to be more deliberate in praying for Jon. (: You're a good wifey!! !